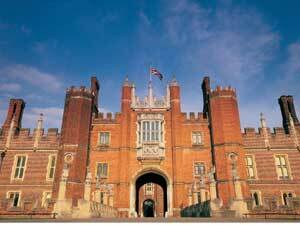 Henry VIII's Kitchens at Hampton Court Palace were the largest of Tudor England. 200 cooks, sergeants, grooms and pages worked to produce over 800 meals a day for the hungry household of Henry VIII. Feeding the court was a complex business all done without modern conveniences as 1.3 million logs burned in the hellish fires every year. From boiling cauldrons to roasting spits, join the day-to-day grind of Henry’s cooks as you pass through this labyrinth of kitchen spaces.